Situated just 500 m from Gadisar Lake, this offering of a private room can accommodate up to two people. This traditionally-furnished accommodation is suitable for a couple seeking a romantic vacation. The guesthouse is 1 km from both Golden Fort and Patwon Ki Haveli. 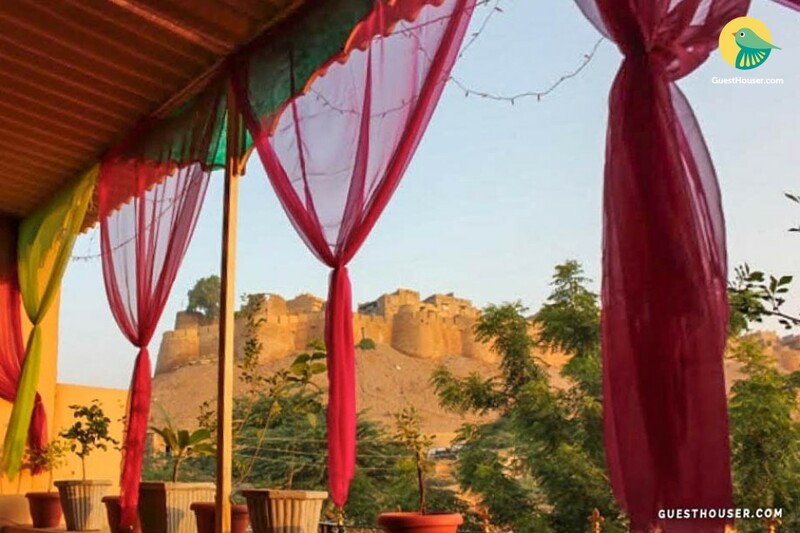 Your Space	The holiday home captures a picturesque view of the majestic fort. The private room on offer is gracefully furnished in a colourful palette. 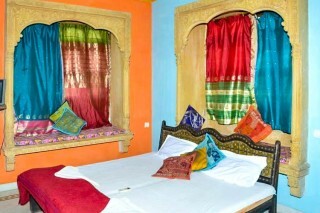 The room is adorned with vibrant drapes. A couple of sandstone alcove cushioned seating adds a touch of tradition. A comfortable double bed is appointed for comfort. Jodhpur Airport is 280 km away.